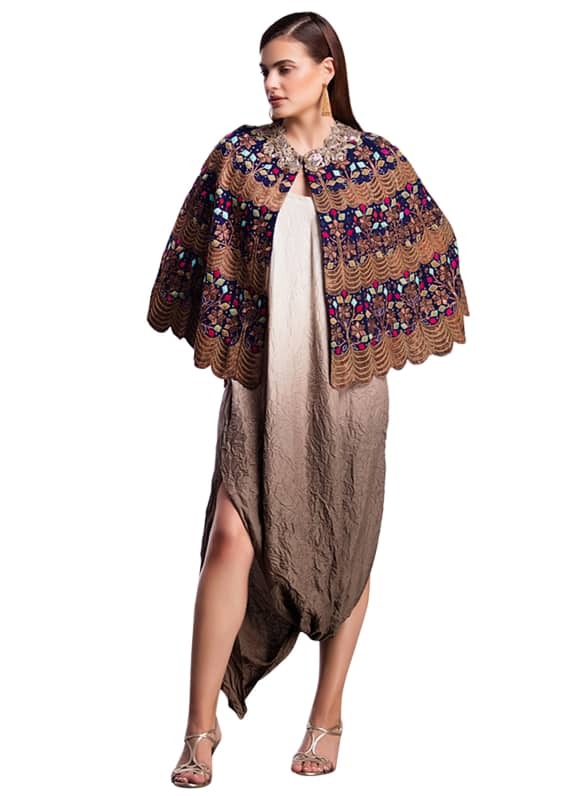 A silk ombre dye ecru brown asymmetrical dress is accompanied with a colourful hand embroidered blue cape. 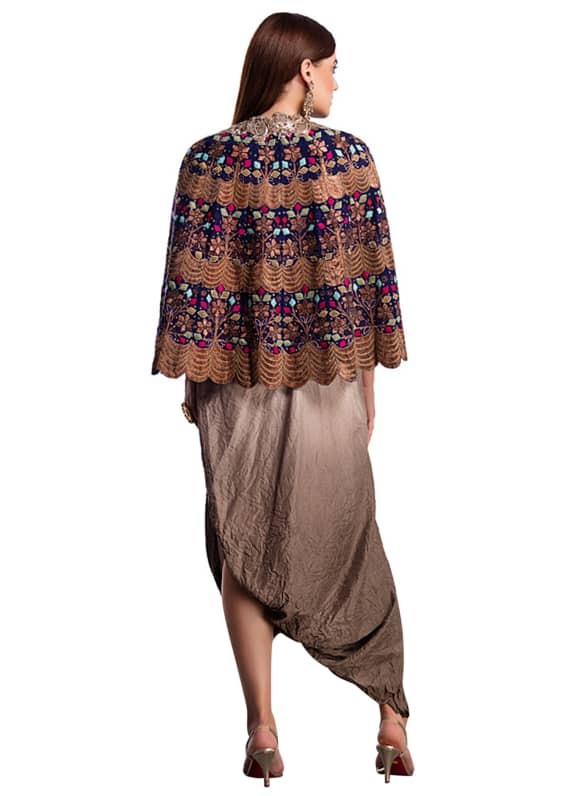 A modern ombre dyed calf length draped dress by Anamika Khanna is perfect for any evening out. 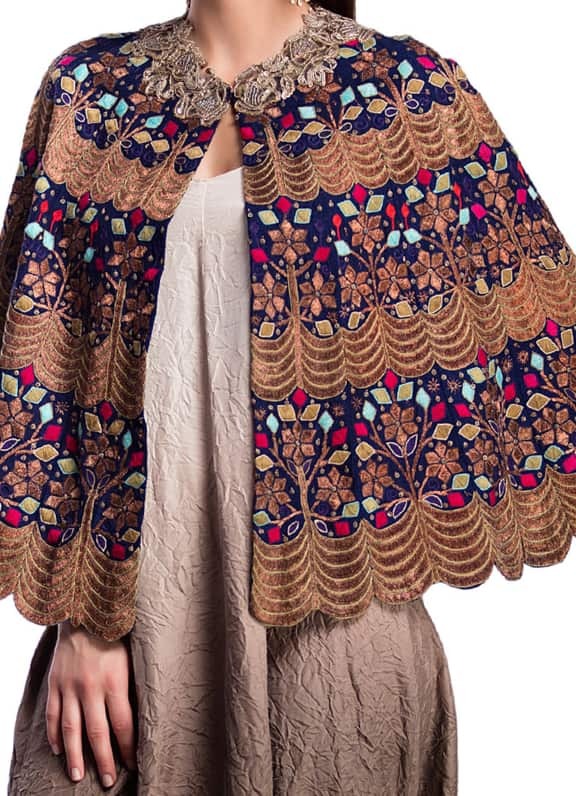 The gorgeous embroidered blue cape is a statement piece in itself. The ensemble is completed with a gold coin ring by Amethyst and a pair of gold and kundan earrings by Amrapali.